In order to have better acquaint with research materials in National Central Library, our center organize “2018 Foreign Scholars Workshop Curriculum”, a series of workshops from March to October to guide the foreign scholars fully utilize our library resources. The workshops include general integrated courses such as: Library Tour, Library Resources & Services, Online Resources Introduction, and special topics as: Governmental Information, Special Collections, Taiwan studies Resources, Law and Legal information. Please see the course details on official link (http://ccs.ncl.edu.tw/ccs_detail.aspx?sn=296) and welcome to sign up for the workshop. Contains library catalog information for 76 Taiwan libraries. One search can cover the whole island. 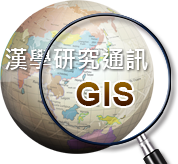 The foremost authority on new publications in Taiwan, with search capabilities to find information related to new publications. 1.Interlibrary knowledge support services: Available through ref@ncl.edu.tw; specialists will strive to provide full-text copies if possible. 2.Professional reference services and discipline specialists: Please call 02-2361-9132 ext. 250 during regular library hours. 3.Future developments at the library will be the development of a meta-catalog and a synthesization of diverse system resources as we continue striving to provide the best level of service.